Here’s a refreshing drink for 4th of July or any other hot afternoon. Put together in just a few seconds, it will chill and relax you at the same time with a touch of sweetness. Fill the wine glass with a few ice cubes. 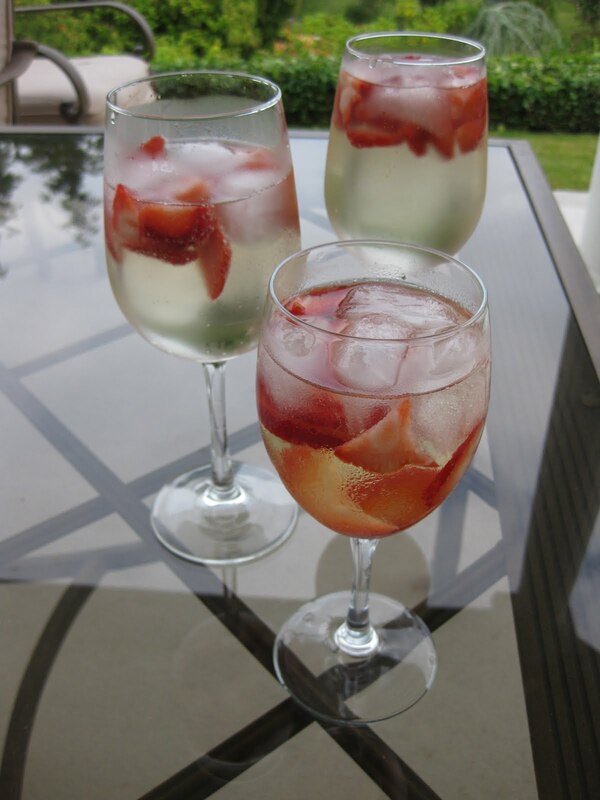 Pour 2/3 parts of your favorite light white wine (Pinot Grigio, Vino Verde, or Sauvignon Blanc) and add 2 strawberries, cored and sliced. Top off with 1/3 part Sprite, Squirt or sparkling water. Give it a light stir and Salute!